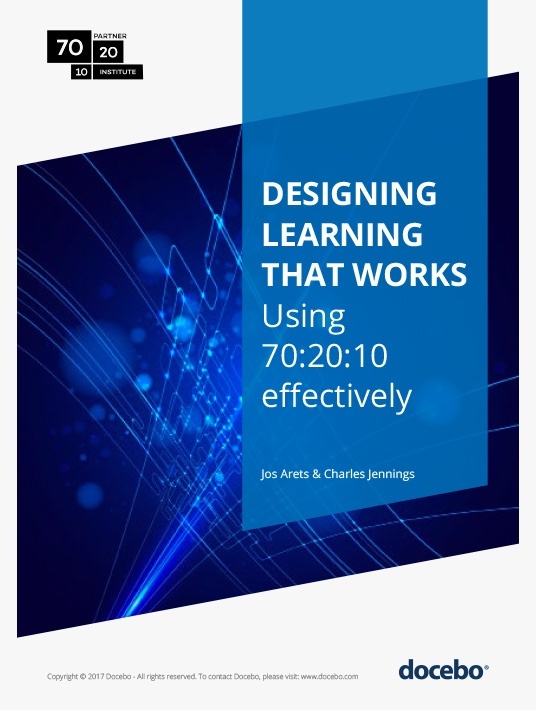 Is the 70:20:10 learning methodology simply “old wine in new bottles” given that most L&D professionals think they already combine learning and work? The answer is no – by adopting a shift in mindset, introducing new roles, and gaining a solid understanding of 70:20:10, organizations can start learning and performing at the speed of business. Many organizations question the effectiveness of the 70:20:10 learning methodology. Learn what is required for effective 70:20:10 implementation. Learn about the roles required to support 70:20:10 implementation. The 70:20:10 Institute has been established in response to widespread international demand for information about what the 70:20:10 model involves and how it can be used. 70:20:10 requires a change in mindset for L&D. Instead of relying solely on learning to achieve business results, it shifts the emphasis towards performing for business results. It highlights the original purpose of the HR and L&D professions, which is to help people and organizations to do their jobs better. Here's some solid evidence why your learning technology strategy is not working and how to battle that. This report also helps you decide what type of Learning Management System you should opt for to meet the needs of your employees.